M&S has always been one of my firm favourite shops, as my grandma and mum have always shopped in there and I take a lot of my fashion inspiration from them. However, lately I feel that M&S have been exceeding my expectations hugely with their GORGEOUS Limited Edition range. Its everything I could ever want in a clothes collection- great quality, pretty prints, unique and classy pieces at a good price. Today I'm going to share with you some of my favourite pieces from M&S Limited Edition! Okay first up is this gorgeous collared printed shirt- I love the unique pattern and the pink with orange makes it really stand out. I would pair this with a pair of black high waisted jeans and boots! I love these SO much. My style is increasingly becoming more 'boho-like' and these shorts are just perfect for that. They are great quality and look casual but still very pretty. I'd pair them with a slogan tee, gladiator sandals and a floppy hat for a summers day! 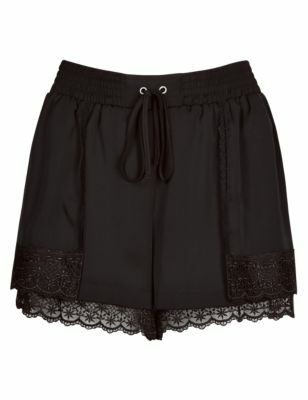 This is called the ballerina skirt which I think is just adorable! As you know, and will increasingly notice, I am a little bit obsessed with pastel colours so this definitely fits the bill! 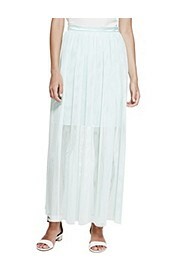 This skirt will be perfect for the summer with a little white t-shirt or blouse and block heels. Okay everyone this is the ONE! I am soooo obsessed with this dress; Its just the cutest thing ever! 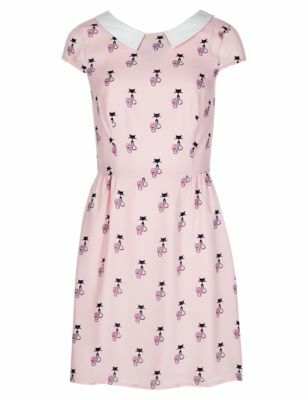 I love the little print of the cats and the pastel colours and the collar... what more could you want in a summer dress?! It reminds me of the Miu Miu coat as worn by Hailee Steinfield at NYFW earlier this year. This dress always catches my eye when I enter the shop! 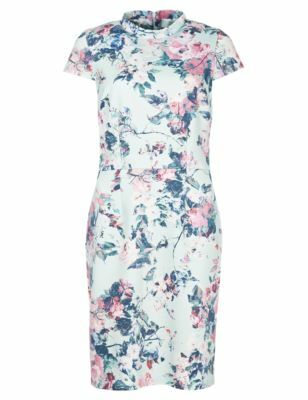 I love the pretty print and the high collar is so on-trend right now and very flattering! Not going to lie, I've been dreaming of this crop t-shirt ever since I first saw it in the shop a few weeks ago..! Its such a classic staple piece that will be so wearable. I'd wear this with trousers, jeans, skirts, shorts- you name it! Very cool. This is such a fun t-shirt! 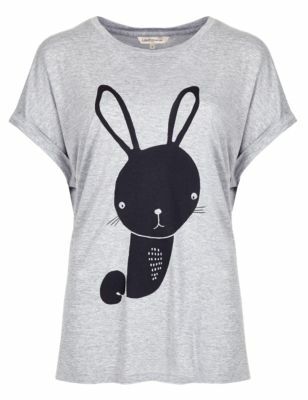 Its such a unique print of a rabbit and it reminds me of my childhood toy rabbit, Bouncey. 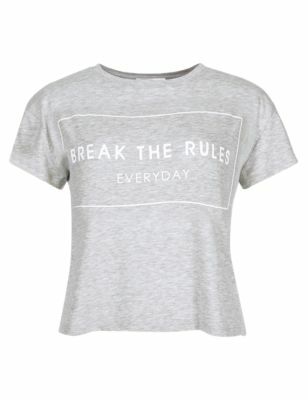 Therefore I must get this top in honour of Bouncey (hehe)! 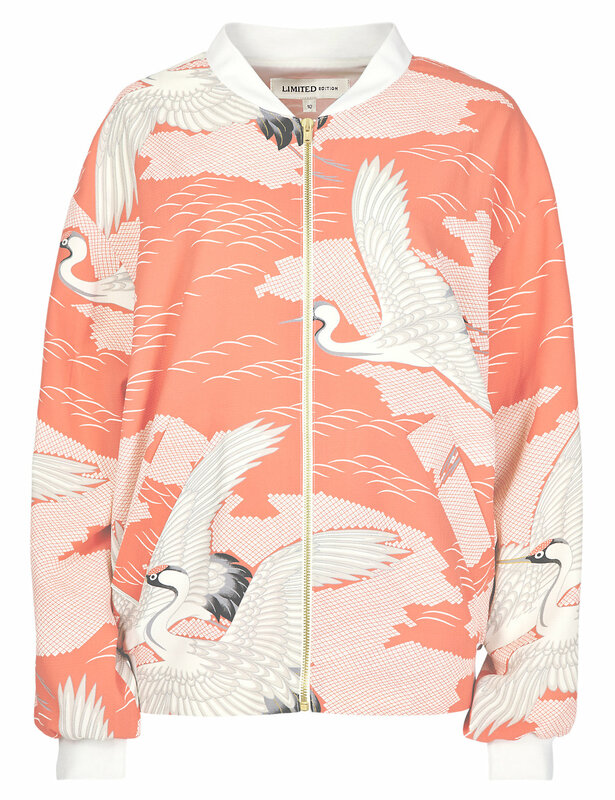 I'm sure you would have seen this bomber jacket everywhere! Blogs, TV, Magazines... it has such a 'wow' factor and its made of such lovely fabrics. I could definitely see myself strutting around town wearing this with black jeans and a navy blue top. Its so different and I absolutely adore it! Okay, I'll stop now- although I could go on forever! I wish I could buy the whole shop! I just wanted to share with you this collection as I feel that M&S could be seen and branded as an 'old people's shop' by some but this collection definitely shows that it is young and definitely on trend! I can't wait to see what M&S have in store for the future! DISCLAIMER: I have not been sponsored by M&S or any other company for this post.